Easy quilt patterns begin with fabulous, easy quilt blocks. 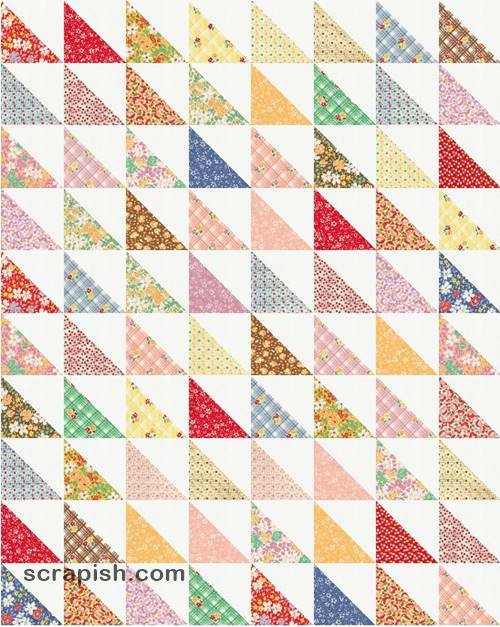 Select fabric from your own stash - yardage, jellyrolls, 10 inch squares - to make easy, fun gorgeous quilts. Explore quilting today! 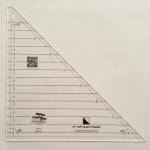 Continue reading "Half Square Triangle Ruler Tutorial"
Continue reading "Snowball Quilt Block Tutorial – Very Easy for Beginners!" 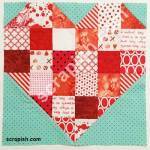 Continue reading "Scrappy Heart Quilt Block Pattern - A Beginner's Delight!" 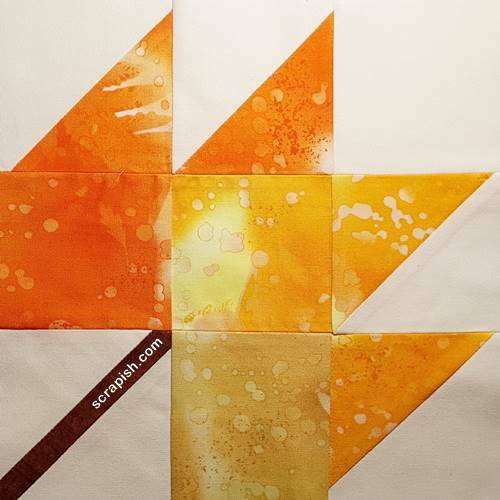 The maple leaf quilt block (aka autumn leaf) is an easy nine patch block. 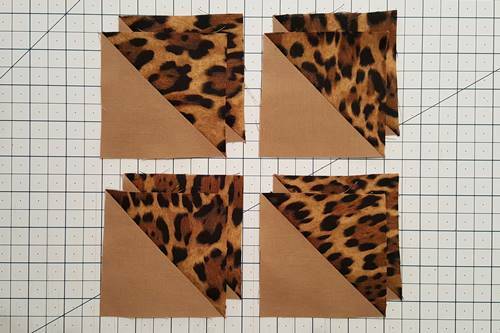 See how to make it and get a cutting chart for 6, 9 and 12 inch blocks! 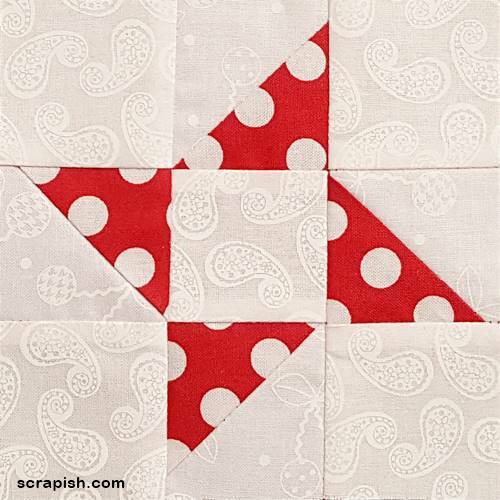 Continue reading "Maple Leaf Quilt Block Pattern Tutorial - Traditional"
The double hourglass quilt block is super easy to make. Use a strip set, a little math (provided) and you can make a quilt that rocks! Continue reading "Double Hourglass Quilt Block Pattern Tutorial for Beginners"
Hourglass Quilt Pattern for Beginners - Super Easy Tutorial! Looking for a super easy hourglass quilt pattern? Try this one! It features an easy way to make an hourglass block. Make baby, twin/queen sizes. Continue reading "Hourglass Quilt Pattern for Beginners - Super Easy Tutorial!" Split quarter square triangles are easy to make. 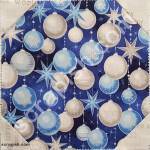 They add variety to a lot of quilt blocks, especially star blocks. See step-by-step how to make them! 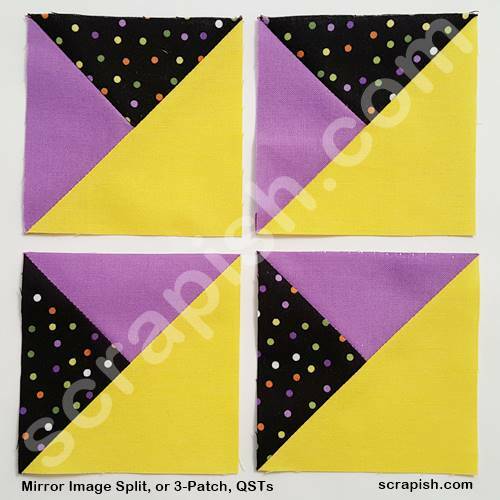 Continue reading "Split Quarter Square Triangles Tutorial"
The 3 patch quarter square triangle is easy to make using half square triangles. Get the formula, size chart and see a video! 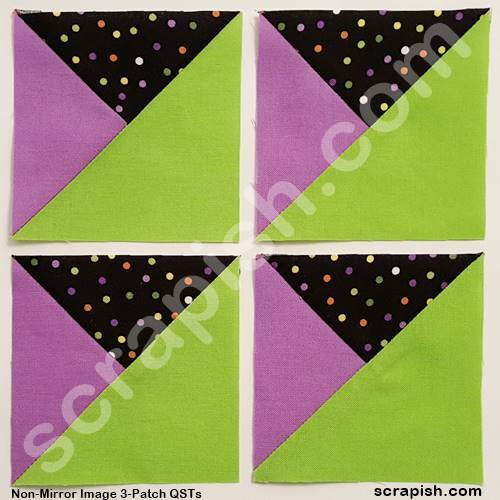 Continue reading "3 Patch Quarter Square Triangle Tutorial - Use Formula or Chart"
An easy way to make an hourglass quilt block is to use half square triangles. Get the math chart and see how to make and square up this quilt block! Continue reading "Hourglass Quilt Block Tutorial – Easy and Beginner Friendly!" 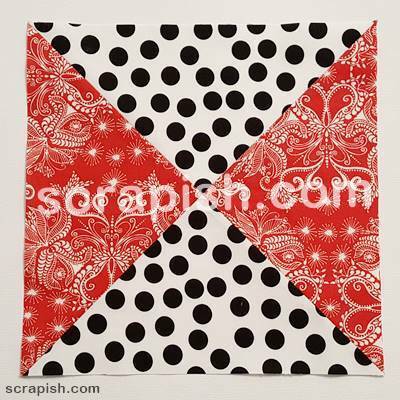 A scrappy half square triangle quilt pattern for beginners that uses two charm packs - 5 inch charms for a baby quilt, 10 inch squares for a twin size. Continue reading "Easy Half Square Triangle Quilt Pattern Tutorial"
This easy friendship star quilt pattern uses big blocks - 12 inch star quilt blocks - in different 3 layouts. Very beginner friendly quilting! Continue reading "Friendship Star Quilt Pattern Tutorial for Beginners"
Friendship Star Quilt Block Tutorial - An Easy Star! 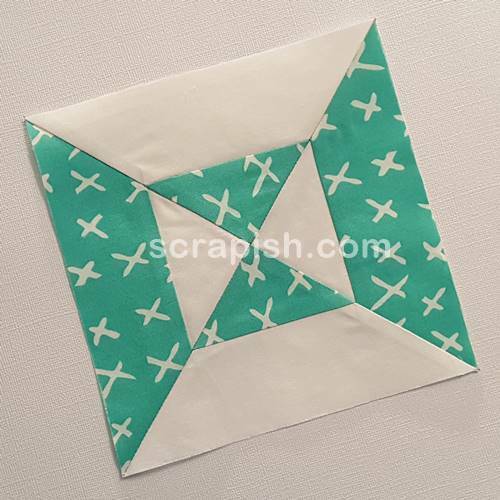 The friendship star quilt block is a beginner friendly easy block to make. Get 12 inch, 9 inch or 6 inch block measurements! Continue reading "Friendship Star Quilt Block Tutorial - An Easy Star!" 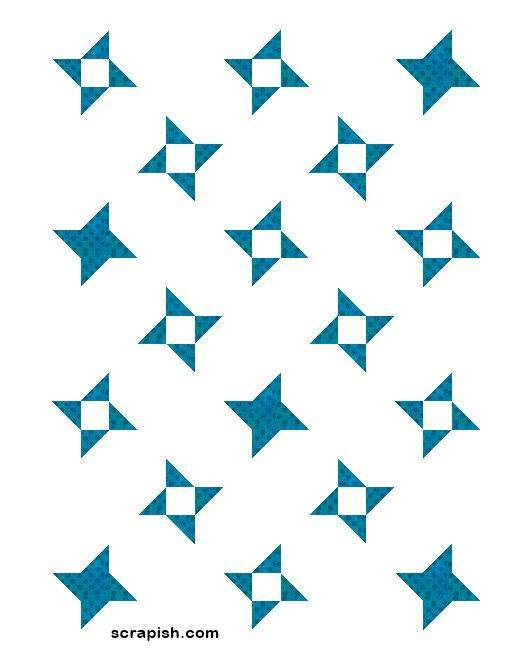 Half square triangles 8 at a time is the way to go if you need a lot of them. It's easier than you think! 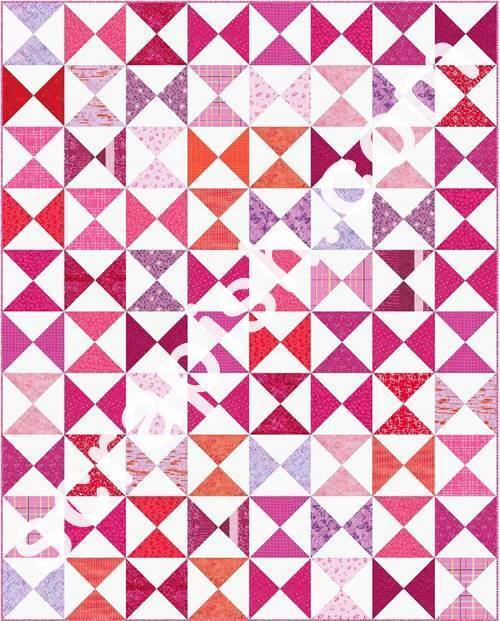 Continue reading "Half Square Triangles 8 At A Time"
This easy Irish chain quilt pattern is a beginner's delight - make 6 inch blocks from strip sets fast! See modern and traditional looks. 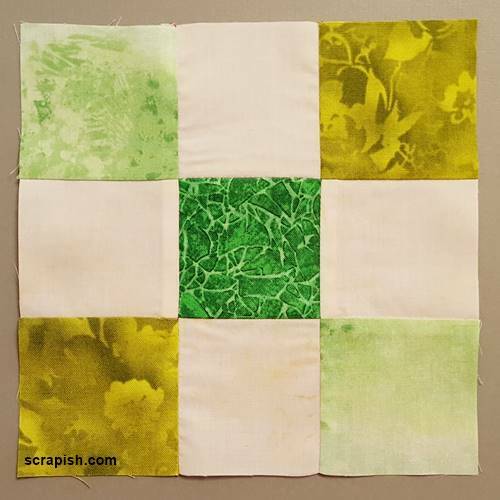 Continue reading "Single Irish Chain Quilt Pattern"
The single Irish Chain quilt block is very easy to make using strip sets. See step by step how it's done! 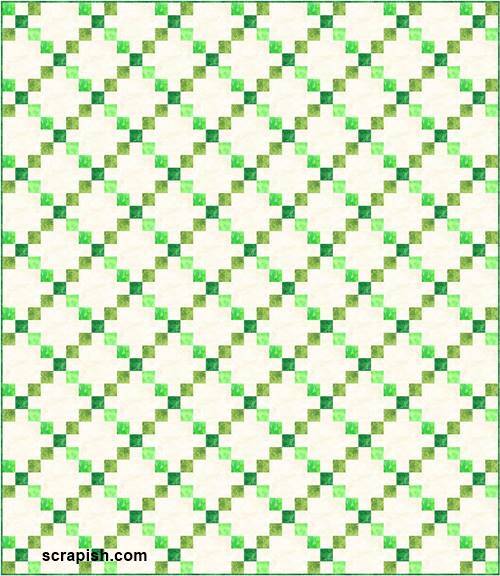 Continue reading "Irish Chain Quilt Block Pattern Tutorial"